Sunday Surprise: WuvLuvs by Trendmasters! In the comments section of my recent Hatchimal Colleggtibles review, Caroline mentioned a beloved surprise-themed toy from her childhood. 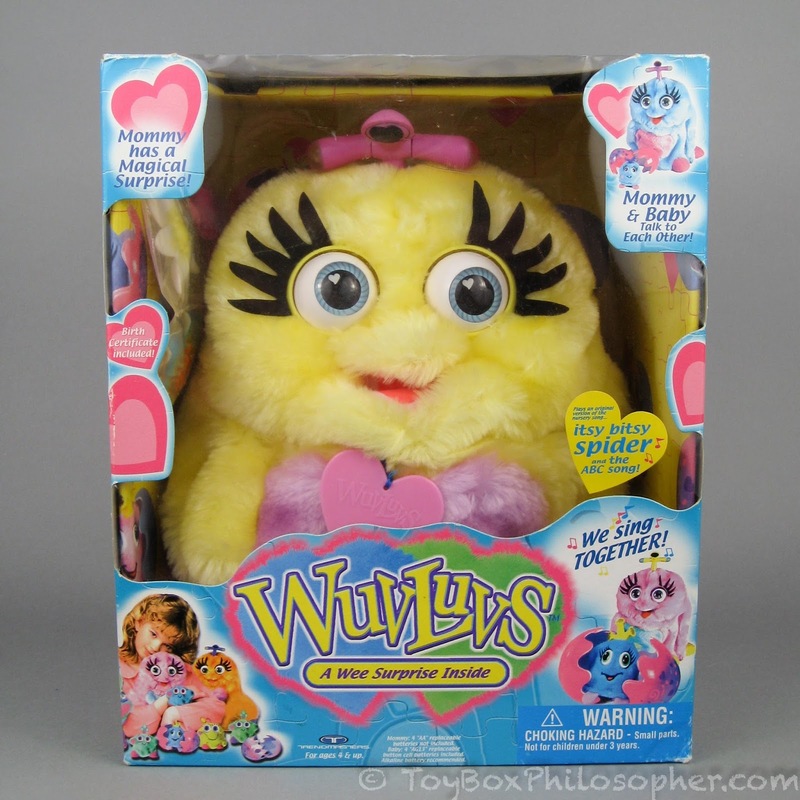 The toy was called a WuvLuv. Caroline described this vintage toy as having "eggs and surprises," which was more than enough to get my attention. I love vintage toys...especially ones with surprises. I read Caroline's comment and went immediately to eBay, where I found a mint-in-box yellow WuvLuv for under $50. That's a hefty price, but it's more reasonable than many of the surprise-themed vintage toys I've encountered--especially considering that this WuvLuv's box had never even been opened. Needless to say, I bought it instantly. So today, thanks to Caroline, we get to hatch a secret egg and see a mystery baby that's been hidden for almost 18 years! A WuvLuv (1999) by Trendmaster. Shibajuku Girls Mini Dolls: Shiba-Cuties! Today I'm going to review several 6-inch Shiba-Cuties, the newest offering from Hunter Products' Shibajuku Girls collection. I could declare that this review was part of the mini doll mini series I was talking about back in May, although I'll confess that I didn't even know about these particular minis when I had the idea to start that series. And speaking of that series, I haven't forgotten about all of the other mini dolls that I want to review, but these Shibajuku newcomers stole the spotlight when they came into the house, probably because I've had this style of doll on my mind lately with the release of Gwen Stefani's Kuu Kuu Harajuku line. L.O.L. Surprise Series 2: Let's Be Friends Lil Sisters! As promised, I'm back with another surprise post...and it's not even Sunday! Today I'm going to look at the Lil Sisters balls from the new series of Lil Outrageous Littles (L.O.L.). I reviewed a first wave L.O.L. Surprise doll back in December....actually, I opened two dolls during that review, but they ended up being duplicates of the same character, Hoops MVP. Since that time, I've opened a few more balls on my own and they've all been different, which is great. I have to say though, that I'm growing tired of opening this particular surprise toy. Once the multi-layered packaging loses its novelty, the balls just become tedious to deal with. I got to the point where I was ripping open the balls; completely ignoring the stickers and picture phrases, leaving bottle accessories unopened, and immediately pitching the plastic balls into the trash. I only wanted to see the doll. That's way too much waste for a $10 toy. Series 1 L.O.L. Surprise doll, "Center Stage" ($9.99), and a Series 2 Li'l Sisters ball ($6.99). Sunday Surprise: Hatchimal Colleggtibles by Spin Master! July has been a bit hectic so far. My youngest son is off in another state doing a summer program, and so last week and next week will be mostly consumed by transporting him to and fro and visiting family along the way. 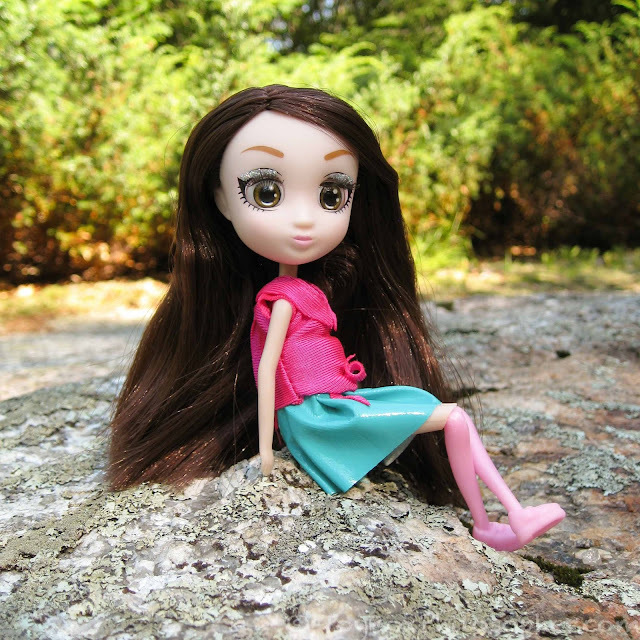 I always bring a few dolls along on these trips, in the hopes that there will be an outdoor photo opportunity, but the frequent (and exciting!) summery thunderstorm downpours have kept the dolls under cover. I decided to tackle a smaller review in between all of this traveling and raining, but couldn't decide between the super-popular Hatchimal Colleggtible miniatures and the new L.O.L. Li'l Sisters surprise balls. So, I've been working on both posts at the same time. The Hatchimal review ended up being a little faster to photograph, so I'll share that today as this week's official Sunday Surprise. However, the L.O.L. sisters will probably make an appearance well before next Sunday. A hatching Hatchimal Colleggtible figure ($9.88 for 5).